My name is Jan and I’m a hotel-aholic. It started even before I began as in-house PR for a large chain of business and leisure hotels in the UK. Although I later became a full-time radio broadcaster (before I moved to Mallorca), my interest in hotels has never waned. If anything, it’s grown – probably because Mallorca has more than its fair share of great hotels. A night away in a hotel here is always a special treat for us, as we rarely leave the island. Even only one night away from home is good for recharging the batteries, as well as stoking my passion for hotels. In 2014 we were lucky enough to spend one night in each of seven hotels on the Mediterranean island we call home – and each one was completely different. We’d stay in any of them again. 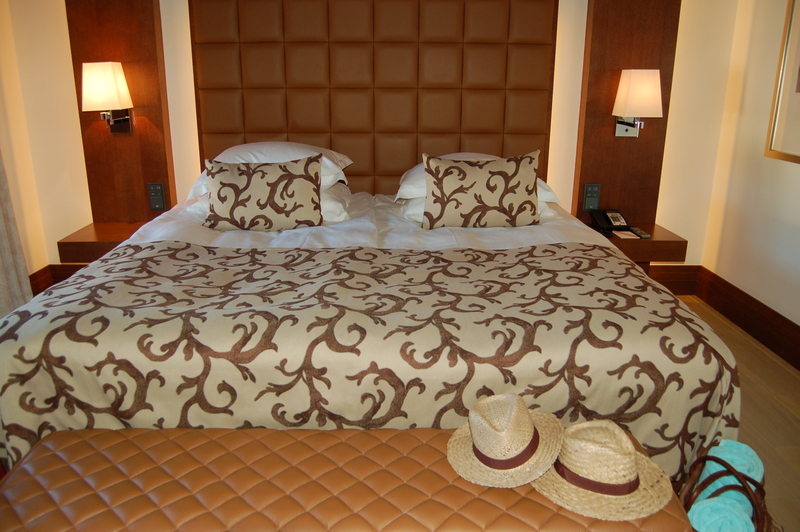 Here is the first part of a three-part post looking at the seven Mallorcan hotels we enjoyed staying in during 2014. Just in case you’re thinking of a night away on this lovely Spanish island this year, and looking for somewhere to stay . . . 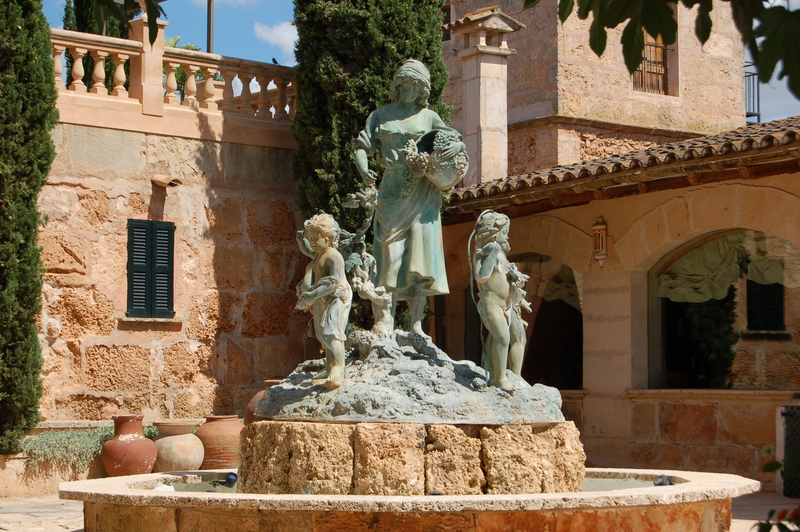 This rural 5-star hotel in southwest Mallorca is a member of The Leading Hotels of the World. It’s located on a tranquil 325-acre estate with superb mountain views; the main part of the hotel is a carefully restored 18th-century building resembling a castle. With 38 rooms and suites (some in the restored old stable blocks), it has an intimate feel to it. There is plenty to love here: a tree-lined drive behind impressive iron gates, beautiful landscaped gardens with water features, the use of estate produce in the bar and kitchens, and gorgeous spa (with ‘living wall’ in the indoor pool area). There’s a choice of two restaurants: Olivera, and the Michelin-starred Zaranda. Breakfast pastries from the onsite bakery. Our stay was for Valentine’s and we took advantage of a special and fantastic-value package offered for Mallorca residents, which included dinner in Olivera. We had an excellent dinner, with great service. I was fortunate enough to dine later in the year in the acclaimed Zaranda. Chef Fernando Pérez Arellano is not Mallorcan, but he’s passionate about produce from the island – and it shows in every creative dish he produces. 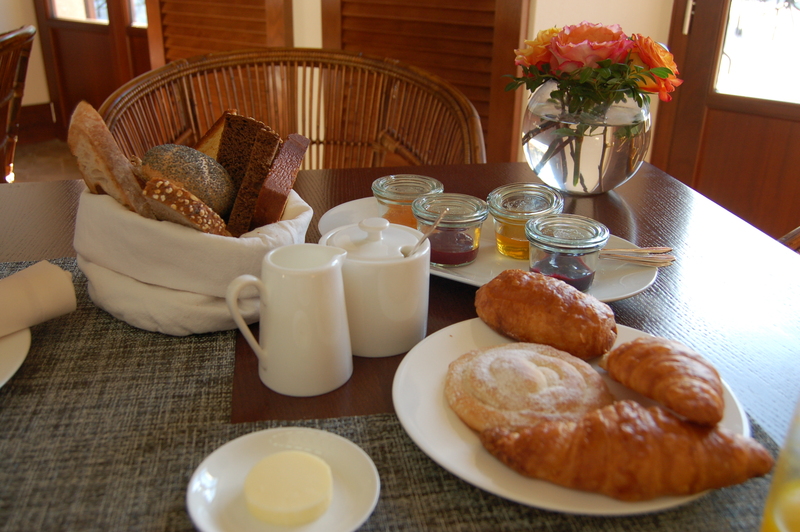 The hotel’s onsite bakery is a big bonus, and produces a variety of excellent breads, other baked goods, and home-made pasta. Now I do love good bread, and would probably make a Miss Piggy of myself if I stayed at Castell Son Claret for more than a night or two . . . I was also impressed by the pre-arrival service: after making our booking we received a questionnaire about any special requirements regarding pillows, newspapers, etc, etc. The general manager at that time was an internationally experienced German woman, who has since left the hotel. I hope that the level of hospitality and service throughout the hotel is as good as it was for our wonderful night at Castell Son Claret. And also hope that they make another tempting offer for Mallorca residents this year! Castell Son Claret is the location of the annual summer ‘Castell Classics’ al fresco operatic concerts. Stylish décor and a huge bed. Oh, and sun hats provided too. 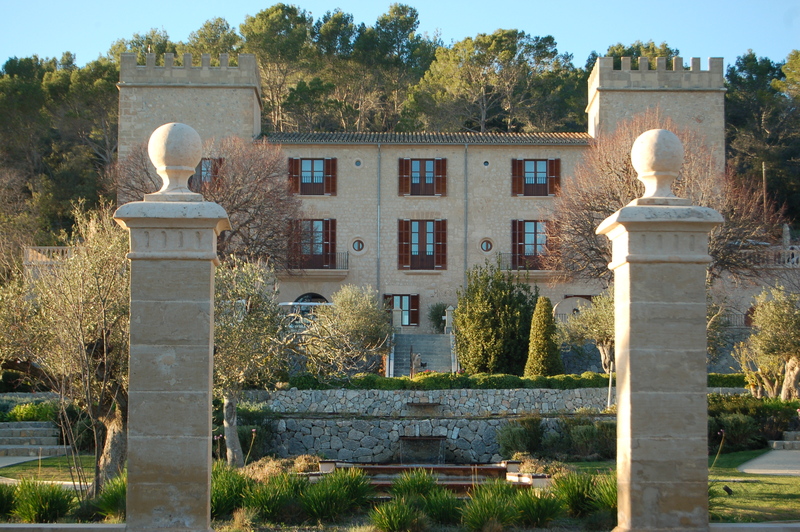 Castell Son Claret closes for a short period over winter, usually reopening in time for Valentine’s Day. The Boss and I were invited to stay here as press trip guests, shortly after it opened its doors for the first time in June 2014. Being in the open countryside, it wasn’t the easiest of places to find, but there should now be signage from the town of Campos. Es Revellar is a resort project that marries hospitality and art – a museum with rooms, if you like. It’s unique on Mallorca, the only land resort in the Mediterranean, and one of only seven of its type in the world. Es Revellar occupies an authentic Mallorcan estate dating back more than 600 years. The buildings have been sympathetically restored and house nine rooms and suites, and two villas – all individually decorated. Expansion is planned to provide more rooms. There’s a chapel, small gym, an art library, comfortable foyer, outdoor pool and bar, dining room (a separate building surrounded by vines and the produce garden), and a building housing an extraordinary collection of primitive ethnic art. Art is everywhere: in the guest and public rooms, and – most impressively – in the beautiful landscaped gardens, filled with trees, shrubs, plants, water features, sculptures, marble columns, and surprises. Examples of primitive art at Es Revellar. Every room has its own terrace, and direct access to the grounds. Es Revellar was the brainchild of Roberto Alcalde Castillo (founder of the Spanish adventure and travel clothing/accessories business Coronel Tapiocca). He is the hotel’s art director and his wife Rosabel – a former catwalk model – runs the hospitality side of the business. It’s a very special and (here’s that word again) unique place to stay. A stroll through the gardens. One of several garden ponds. The Great Mural – thought to be Europe’s longest artwork – illuminated at night. Last summer Es Revellar offered art dinners to the public on Fridays and Saturdays, which included a fascinating pre-dinner talk and tour by Roberto, and a post-prandial tour of the illuminated garden. The one we attended on the press night was a really memorable occasion: good company, interesting conversation, delicious home-cooked food, and – of course – art of every type. Es Revellar Art Resort also closes for part of the winter, usually reopening in March.